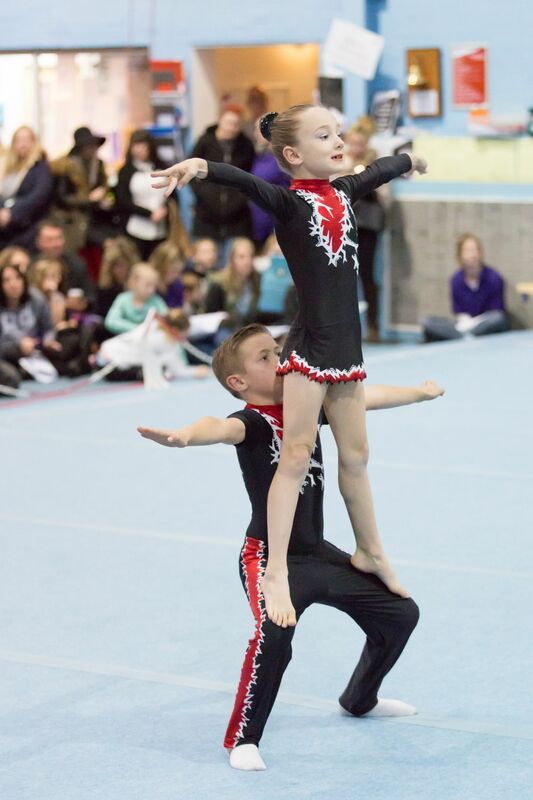 The Acrobatic Gymnastics Club Squad offers children the opportunity to compete in the sport at club and regional competitions as well as displays. 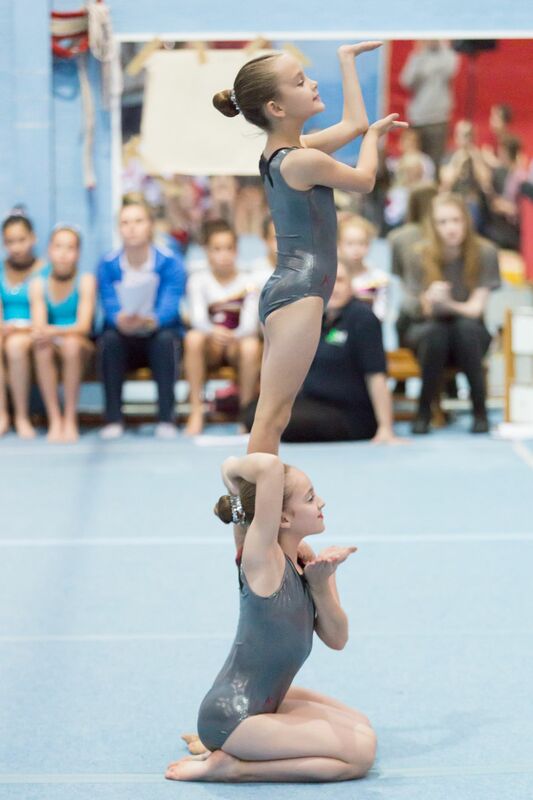 The gymnasts will train through Grades 1 to 4 in the National Development Plan in Pairs and Groups, as well as improving the gymnast's floor individual skills, block work for tops, bar work for bases, tumbling, flexibility and choreography. Not everyone can dedicate themselves to the demands of elite squads, so the club squad offers great training opportunities without the same amount of dedication. If gymnasts show significant progress the door will always be open for them to join the elite squads. All days must be attended. Parents will be expected to contact the coach/office for lateness or illness and holiday forms must be filled out and granted before booking any events. 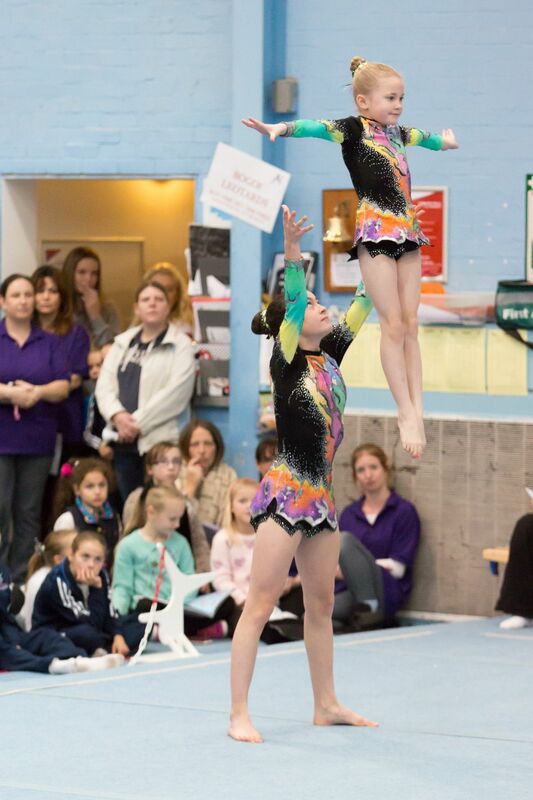 The group requires gymnasts to purchase a squad leotard, shorts, club tracksuit, club t-shirt and competition leotards. 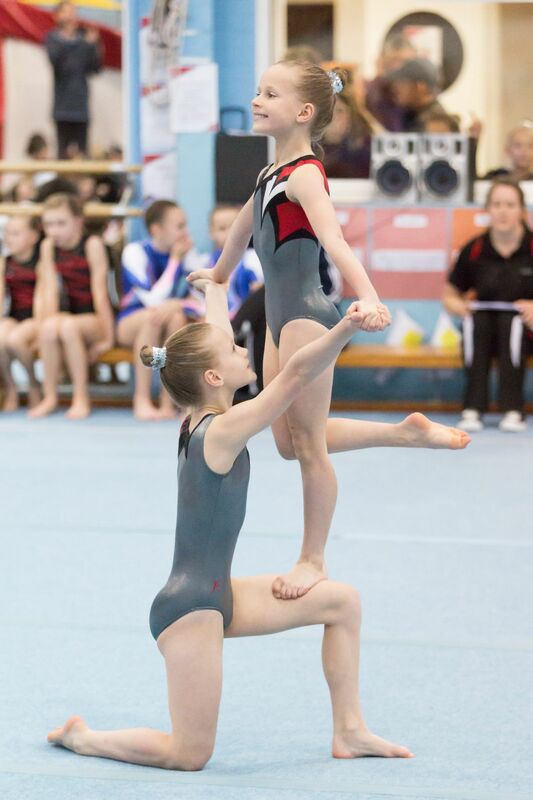 For each training session, Club Squad gymnasts will be expected to have their hair up in a bun, correct attire for training - leotard and shorts, socks for the trampoline, trainers in the spring/summer for running and a drink.